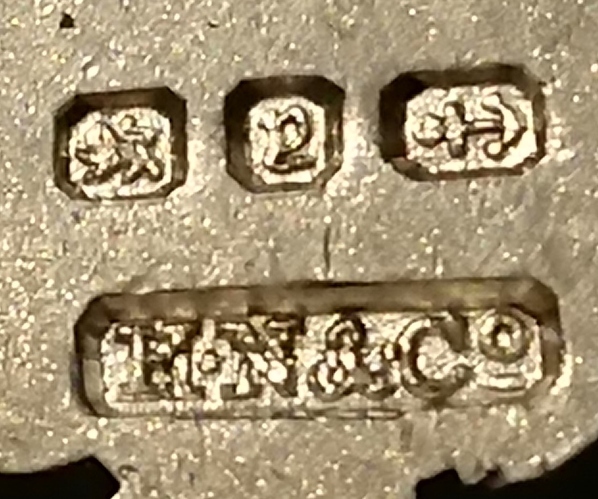 Hello, found this a Silver cross with pig head, it has a Birmingham hallmark , H.N & Co. possible letter “V” 1898/99, is this peice rare or valuable? any info is appreciated , thanks! Yes, Birmingham 1898/9. HN&Co is currently unknown but is possibly Henry Nathan & Co, a London company. 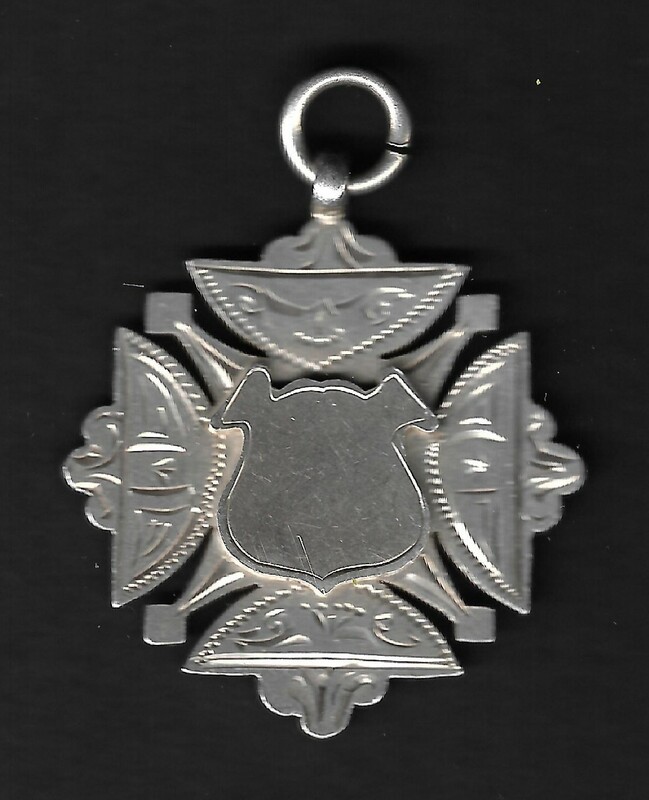 Fob medals come in all sorts of patterns but are not rare or especially valuable. I note that yours has an unengraved cartouche (the unfortunately pig-head shaped shield) which might appeal to someone who wants to add their own engraving.